Once describing himself as “the willing and devoted servant of the travelling public”, Thomas Cook was a true pioneer of the travel industry, opening up a world of new destinations and new travel experiences to everyone. By obtaining the best services and prices for his customers, he laid the foundations of the company that still bears his name today. Thomas Cook is now one of the world’s leading leisure travel groups, supported by 22,000 colleagues and operating from 16 countries. 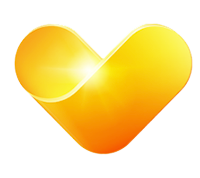 Our vision today remains true to the principles of Thomas Cook 175 years ago – to be the most loved holiday company.